My latest reading project is almost over! 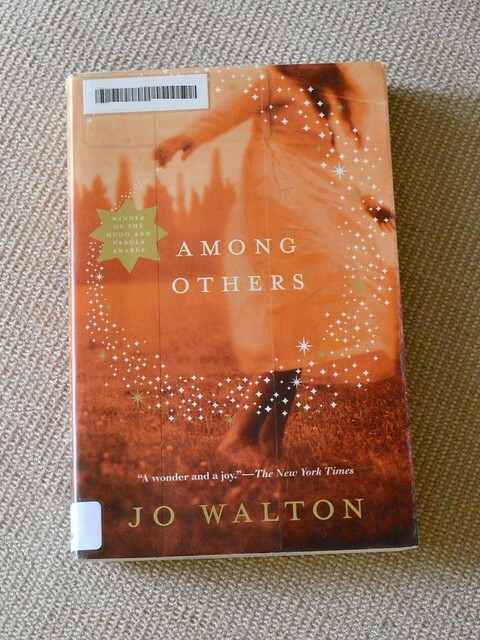 Next up is Among Others by Jo Walton (published in 2010). Among Others is set in Wales and Shropshire, England. We begin in 1975 with twins Morwenna and Morganna near their Welsh home, about to do magic at the behest of local fairies (who cannot touch physical items in our world). The next chapter has fast forwarded four years. Morwenna is dead from saving the world from their mother’s evil magic; Morganna is crippled and, grieving, has started to use her sister’s name when she isn’t going by her nickname Mori (or Mor, or sometimes Mo). After regaining some of her mobility, Mori ran away from her mother and sought refuge with her estranged father on the English side of the border. His three sisters sent Mori to a sports-heavy boarding school. Being unable to join in the sports, from an ethnic minority (Welsh) and an enthusiastic SF/F reader, it’s no surprise that Mori doesn’t find a ready acceptance at Arlinghurst academy. She struggles to keep in contact with her relatives in Wales and attempts to find a circle of like-minded friends. Little by little Mori starts coming to terms with her new life and carving a place for herself. We also learn more of her grief, the crash that took her sister and of magic. Unfortunately, Mori’s magic-use draws the attention of her mother. Eventually the two face each other in a magical battle and settle things for good. The novel is technically shaped as Mori’s diary, but the entries strongly resemble conventional novels: we get glimpses of both Mori’s everyday life, her thoughts and encounters with the world. One of the strengths of the novel is that we see Mori’s thinking develop from a child-like black & white dichotomy to a more nuanced way of seeing the world. Walton also made a very interesting choice in designing this world’s magic: it’s very low-key, easy to miss and/or could be explained by normal events or coincidences. There’s not much plot, and the final climax comes up a bit suddenly. I didn’t think these two features detracted from the experience, however. More than anything else, the novel is a character-driven love letter to libraries and books, especially science fiction and fantasy. Quietly powerful, Among Others grips you and won’t let go. Recommended! P.S. Find all posts in the project with the 21 authors tag.